This gentle, relaxing full body massage is a spa classic. Therapists adapt their techniques to fit your specific needs. Soothes sore muscles, increases circulation and improves muscle tone. Utilizing heated Basalt stones and slow deep manipulations, this massage pinpoints areas of discomfort caused by tight tissues and trigger points. Releases tension and eases aches. A unique, therapeutic, full body massage designed to relieve fatigue and ease tension, along with reducing water retention during pregnancy. 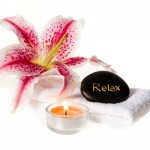 A detoxifying and nurturing body therapy that creates inner calm and renews the body and senses. Includes scalp, face and body massage. Rid yourself of dry, rough or dark elbows. Relieves the pain of chronic, tight muscles using various strokes and techniques. Tension is released and flexibility is restored. Also assists in the increase of circulation, metabolism and the elimination of toxins. 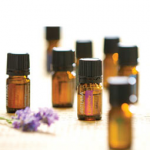 Utilizing essential oils to balance the nervous system and improve physical and emotional well being. In a hurry? Take a seat in our customized massage chair! This regenerating massage offers relief of stressed neck, shoulders and back in minutes. This is a two part treatment. The first part exfoliates the body, smoothing away dead, rough skin. The second part hydrates, lubricates and firms the body, leaving it exceptionally soft and smooth. Medicinal Chinese herbs and alpha hydroxy acids are applied to de-age skin on your hands.